Winter and Aven are thrust into the Guardian order. Winter clings fiercely to her god-given destiny as she discovers the mysteries of the Guardians and the portal that exists on her world. Meluscia’s hunger for intimacy burns ever brighter. Her eye remains on Mica, and her desire for him pushes her beyond boundaries she never dreamed she would cross. 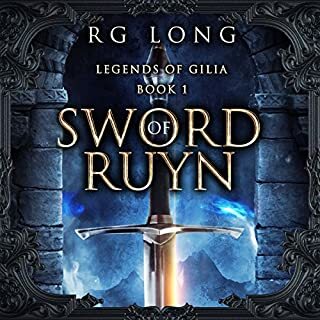 Savarah’s mission to destroy her master’s work continues, but her killing spree must come face to face with Osiiun, the only man in the realm capable of striking fear in her well-armored heart. Riley Harper wants to kill the king. Yet his godlike power makes him nigh untouchable. When their money runs out, Riley and Ocken have more basic problems - like where to find their next meal. But if Riley has to don another barmaid's uniform, she's liable to snap. Fortunately for them, a mysterious hooded stranger who goes by the name of Viper might have just the job they're looking for. The shadow of the Beast stalks Meluscia's every move. The prophetess' dire warning looms as Meluscia fights to attain the throne. All the while, the dark Master of the Star Portal threatens to slay her and her band of prophets, bringing the world of Hearth into chaos. 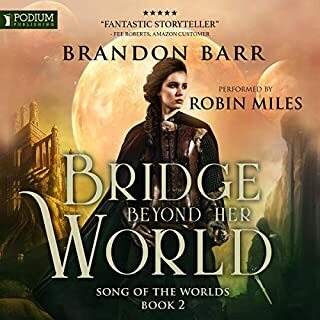 Torn from the world he knows, Aven is held captive aboard a ship of ruthless mercenaries. 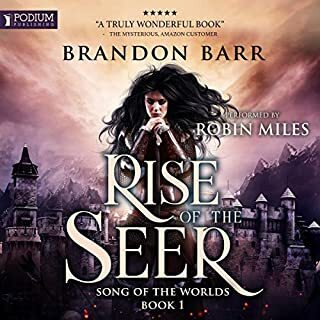 Winter's vision of the horrible creature becomes reality for Aven, and he must face the monsters of his past and present - for there is nowhere to run. Luke is brilliant as always. Some fairly dramatic twists and turns occur. Through it all, the author effortless waive from one character's perspective to another. How do you take an already awesome epic fantasy series and make it better? Add pirates. And they were a great addition, I really enjoyed them in this book, I hope they come back in later books. 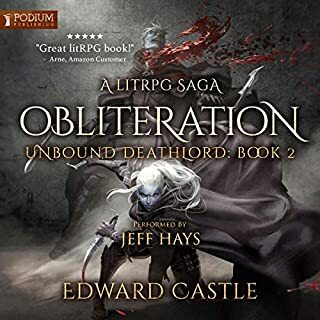 Book three was a great addition to the series that kept me thoroughly engaged from start to finish, that being said, as with the previous books, this book leaves a lot unanswered. So now I am eagerly awaiting book four. I appreciated how a couple more of the characters got elevated to main characters, and have their own dedicated chapters now. 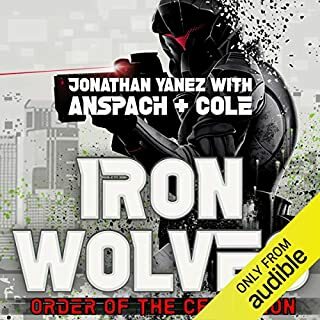 Luke Daniels’ narration is excellent as always. Definitely worth a listen. 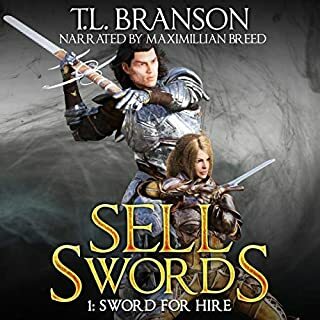 This audiobook was provided by the publisher at no cost in exchange for an unbiased review. 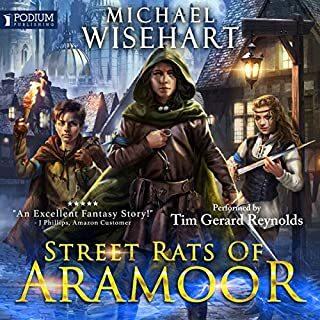 One of my favorite fantasy series to date! This is the best book of the series, so far. I loved the pirates. 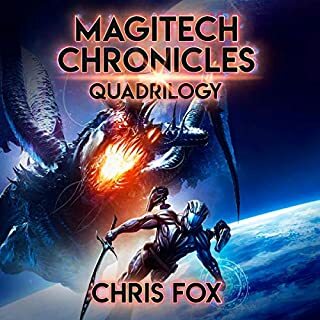 It really mixed things up for the story line and kept me as engaged as can be. 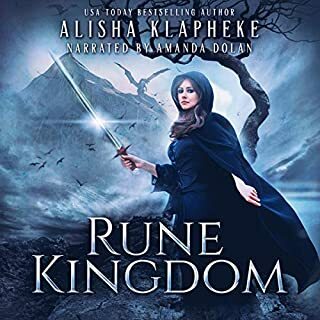 I have really enjoyed seeing where the author is taking this series and can't wait to continue the series when the next one is released on audio book. In large part, this is a credit to the fantastic narration by Luke Daniels. He really knows how to bring a book to life. 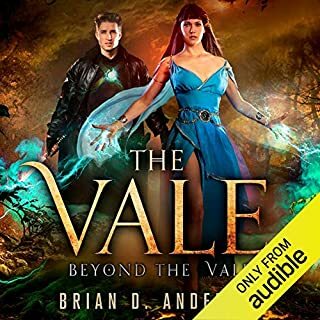 Will of Fire continues the great world building of the Buried Goddess Saga and left me wanting the next book to be released already! I was very satisfied with the backstory we got for both Whitney and Sora and loved the conclusion to a main story arc (no spoilers here!). It's been an adventure getting to see the main characters grow from book to book and I'm very much looking forward to seeing what new messes Whitney gets himself into and seeing how Sora will bail him out. The first 2 books had solid endings, but this one I felt like it left off on too much of a cliff hanger, especially for Zora. The story progression was good, we learned a lot about Zora and her powers, but at the end I was left with too many questions. 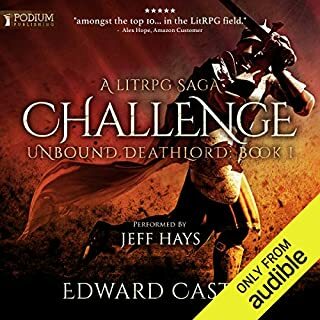 Still a great read and look forward to hopefully Audible picking up the rest. Once again the narration was great and helped bring the characters to life. I was given this free review copy audiobook at my request and have voluntarily left this review. I received a copy of this book for review, but I leave this review of my own accord. 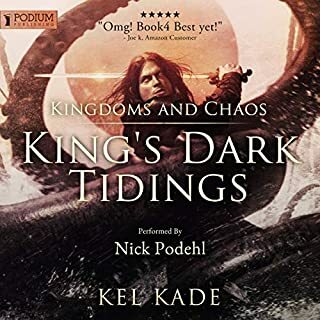 The first two books in this series are quite good, but they are a bit short and so character development can be a little lacking, but they are otherwise well-written and a lot of fun. This third installment, though, really makes up for the lack of character development, especially in Whitney. 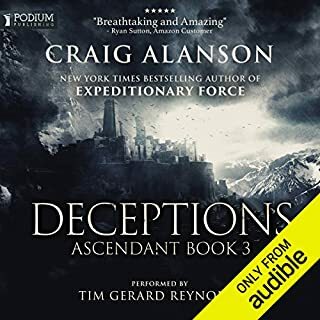 I enjoyed all four of the character arcs presented, and I was pleasantly surprised once I realized the 'main cast' seemed to be expanding to include another character receiving narrative chapters. Each character has their own journey to go on. Redemption, realization, leaning about their past, etc. All of it is well done. I fully expected this to be the last book of the series, but now I cant wait for the next one. This is the third book I’ve read/listened to by this author and I can’t wait to listen to another. 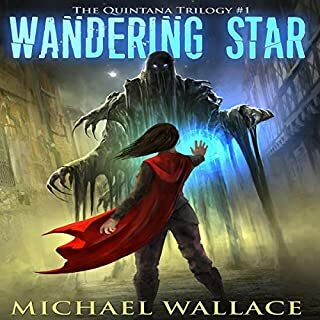 I love the Riyria Chronicles by Michael J Sullivan, and this series has the same feel despite the valiant knight and whimsical thief are not directly partners in this book. 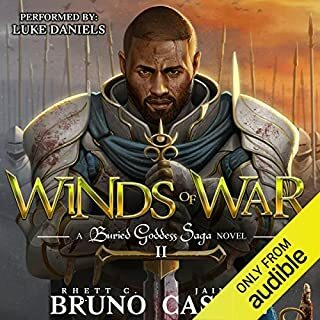 This is the twelfth book I’ve listened to by this narrator ( Luke Daniels ). His vast array of voices compliment this book and I love how he has brought out the characters personalities-especially Whitney! I can’t help but laugh at the dialogue from him and the way Luke delivers it. Just Listen To The Magic! From the get-go, the novel roped me and wouldn't let me go. Luke Daniels is such a world-class performer and he really brought to life a story that was already truly fantastic (I don't use that term lightly). I'm very eager now for book 4! 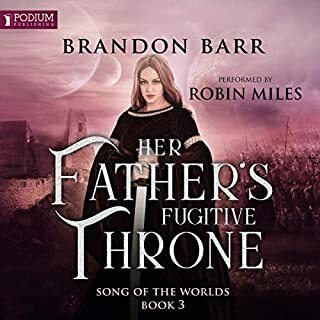 This saga simply is not what I'd expected from a fantasy series (I've read few). I mean, the first book was good and the second was even better! Now, the third has delivered in spades! Not going to leave any spoilers--just get a copy and enjoy the ride! 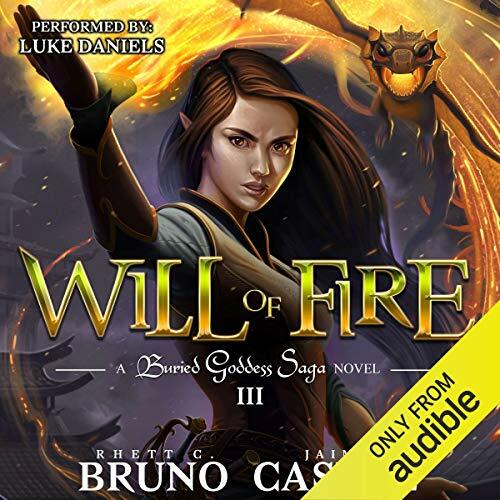 Will of Fire is the third in the series. And where, many times things start to fall apart, this addition to The Buried Goddess actually steps up its game. You will not be disappointed. 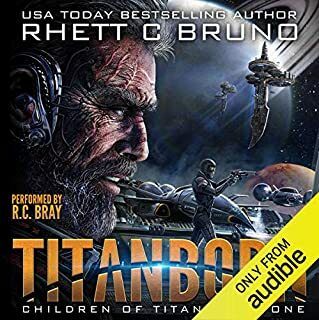 Rhett and Jaime spin a well written, consistent tale that picks up where Winds of War leaves off. 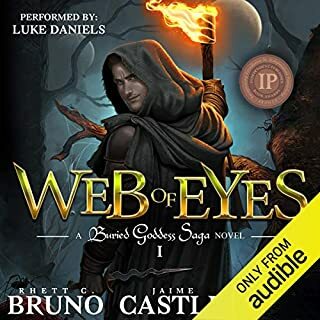 My advice is that if you haven't already grabbed Web of Eyes, go back and start there. You will better understand this book, and enjoy this tale that much more. The narrator, Luke Daniels, only enriches this book with life and energy.